Agilent Technologies Inc. (NYSE: A) today introduced the industry's most comprehensive compliance test application for systems using low-power double-data-rate 3 memory. In addition to accelerating the turn-on and debug of LPDDR3-based systems, the tool offers great flexibility to engineers working with nonstandard operating speeds and voltages, giving them an efficient way to characterize their LPDDR3 designs. The Agilent U7231B LPDDR3 test application, which runs on Agilent Infiniium 9000, 90000A and 90000 X-Series oscilloscopes, provides LPDDR3 physical-layer compliance measurements. Signal access is provided by Agilent's LPDDR3 BGA probes. LPDDR3 is a type of dynamic random-access memory technology optimized for embedded and mobile applications. It is ideal for mobile devices like smartphones, due to its low power requirements. LPDDR3 DRAM, with data rates up to 1600 MT/s, is 50 percent faster than current LPDDR2 DRAM. The Agilent LPDDR3 compliance test application is designed for engineers who work on smartphones, tablets, gaming consoles and other consumer electronics. The U7231B provides automated testing capabilities for clock, electrical and timing tests. The U7231B LPDDR3 application automatically configures the oscilloscope for each test and generates a HTML report at the end of the test. The report compares the results with the specified test limit and indicates how closely the device passes or fails each test. Engineers can easily debug signal integrity issues using the U7231B software in conjunction with the new InfiniiScan multichannel and multizone triggering scope features. Using this method is more convenient than using multiple digital channels for command bus triggering to separate read and write commands. This unique InfiniiScan feature is available only with Agilent's 9000, 90000A and 90000 X-Series oscilloscopes. To complete its LPDDR3 solutions, Agilent offers LPDDR3 BGA probing solutions to provide the LPDDR3 signal accessibility needed to perform physical-layer characterization, protocol analysis and compliance tests. The U7231B LPDDR3 compliance test integrates InfiniiSim and PrecisionProbe tools to enable de-embedding, which removes probing effects, thereby improving measurement accuracy. "Our new LPDDR3 solution offers debugging and physical-layer characterization capabilities to help design engineers test under nonstandard conditions," said Jay Alexander, vice president and general manager of Agilent's Oscilloscope Products Division. "By automating setup with the compliance test software, engineers can save significant test time and ensure their LPDDR3 systems are compliant." 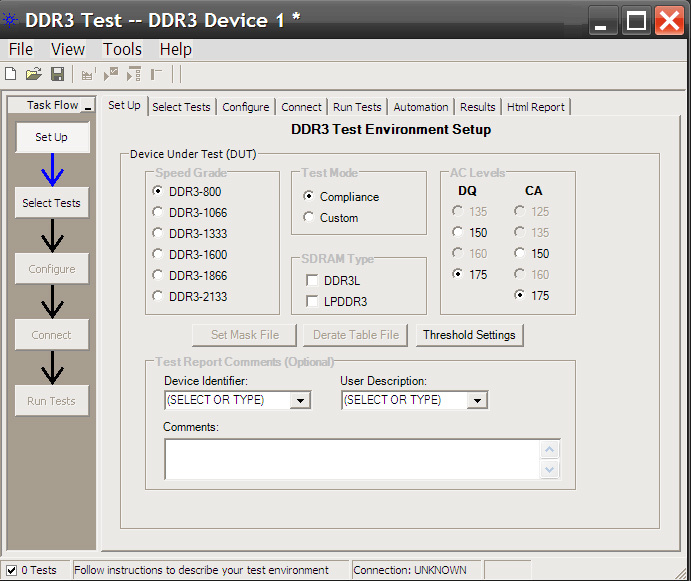 The Agilent U7231B DDR3 and LPDDR3 compliance test application is available now for $4,200. An upgrade from the current U7231A DDR3 compliance software test application to include support for LPDDR3 is available with U7231B-002, priced at $2,000. Contact Agilent at www.agilent.com/find/contactus for BGA probe pricing and availability. Additional information about Agilent's LPDDR3 compliance test solution is available at www.agilent.com/find/U7231B. Product images are available at www.agilent.com/find/U7231B_images.